adidas took the Xeroxed flyer artwork from the US punk scene as an inspiration for their new Photocopy Pack. 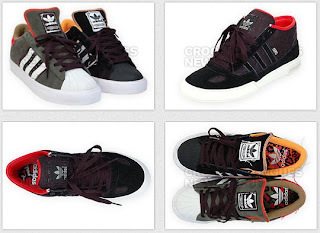 The pack consists of Superstars and a Ciero as part of the adidas Skateboarding collection. The distressed look is much more apparent on the Superstars and the re-printed 3 Stripes look very interesting. Via Crooked Tongues. Take a more detailed look at the adidas Photocopy Pack after the jump. 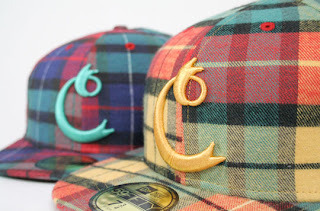 Commonwealth presents their latest New Era Caps, this time coming in plaid. The pack consists of two caps, one in blue and the other one in yellow plaid, and features a raised “Ribbon C” embroidery. They will be releasing the caps both online and in store today. Detailed images of the Commonwealth “Plaid” New Era Caps follow after the jump. blu & exile. really smooth track. and youube.com and search and blu and exile. The Nike Fresh Water Pack has started landing at retailers. 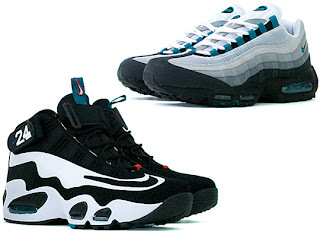 The pack consists of the Air Griffey Max One and the Nike Air Max 95. Both feature turquoise accents on black/grey uppers. The pack is now available at Proper. Two nice releases will be coming from Nike in April - the Nike Blazer High Premium from the Wii Pack and the new high top RT1. The Blazer High Premium comes in nice leathers with orange accents and the On/Off button logo on the tongue. The new RT1 comes in black premium leathers, perforated leather tongue, neoprene lining, while keeping the upper design more subtle. 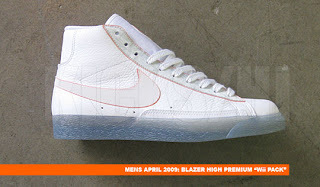 Both the Nike Blazer High Premium “Wii Pack” and the Nike RT1 are now already available at Kicks/Hi. 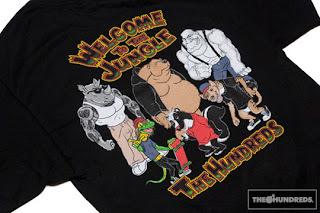 The Hundreds is not only celebrating the first anniversary of their San Francisco store this week, they will also be releasing their second delivery of their Spring 2009 Collection. Expect to see new denim, shirts, hoodies, t-shirts and more, as of this coming Thursday, March 19th. More looks from The Hundreds Spring 2009 Collection follow after the jump. 95% females are going to look like this in 2040(two thousand forty) man i cant wait. im thinking about copping the blue ones. check out my homies blog. Most Anticipated Model In My Brain. 2009 spring alife release i will keep you updated on the alife stuff. 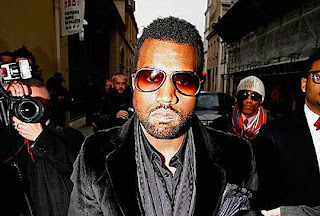 According to UK’s Mirror, Kanye West met up with denim brand Religion to talk about his upcoming denim label. At this point we are not sure whether that just concerns the denim for his upcoming Pastelle label, if it is a Religion collaboration or a brand by itself. Judging by the sound of the Mirror’s article, it seems like it will be a brand by itself. Kanye has definitely been wearing lots of denim and denim jackets lately, so this does not come entirely as a surprise. Hopefully we can tell you soon more about this subject and let’s hope that one of these “labels” will also launch any time soon. i cant wait for pastelle to drop. kanye stop making us wait! Durkl presents their Spring 2009 Collection. As usual the brand presents a fun collection, that uses lots of color on their various styles. For the warmer months ahead, the wild mix of color in their collection seems like the right thing to mix into your wardrobe. 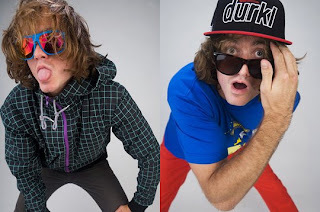 Take a look at the Durkl Spring 2009 Lookbook after the jump. Durkl is a very versitile brand. Supreme will be releasing two new styles of Vans - the Half Cab and the Era. 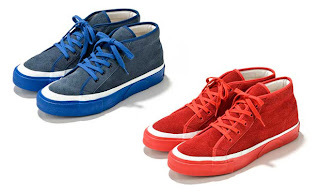 Both styles feature canvas uppers, leather lining and insoles. Also they both come in four colorways, featuring a speckled upper. These Vans will be released in-store and online on March 19th. Japan will release them on March 20th. 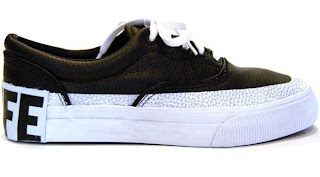 Detailed images of all colorways of the Vans x Supreme Half Cab and Era Spring 2009 line-up follow after the jump. With the Nike Air Yeezy popping up in select peoples mailboxes, you can get ready for the release of one of the most anticipated sneakers this year. Complex made some nice pictures of the Air Yeezy, showing off the glow in the dark qualities of the sneaker, which have been applied both to the Swoosh and to the sole. Via Kanye. More news on the release to come soon. 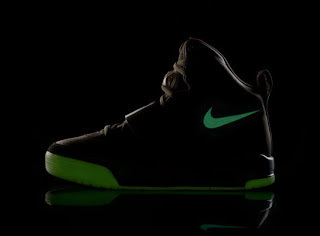 After the jump a detailed look at the glow in the dark sole of the Nike Air Yeezy. Asics is coming out with three new colorways of the Gel Lyte Speed, the original successor of the Gel Lyte III. “The GEL-LYTE SPEED was developed in 1989, in Japan and was introduced into the US and Europe in 1991. The introduction was in response to the growing need in the US for a new type of running shoe. The running population there was not only becoming larger but also more diverse. It became apparent that more experienced runners required a lighter shoe than the flagship GEL-LYTE III model. To reduce weight, ASICS decided to strip down the GEL –LYTE III, removing certain technologies while other, more crucial features were retained.” Via Endorsed. This season the Gel Lyte Speed comes in three strong colorways and they will be released in teh coming weeks. More detailed images follow after the jump. Just in time for Christmas, Hype Club member Tyler The Creator lays his feeling bare about the fat bearded one. As you can see from the picture up there Tyler isn’t your ordinary MC who will just spit some corny rap about fun, cheer and egg nog concerning the holidays. The track is off kilter and jazzy yet perfect for the subject matter. You already know Tyler’s rhyme style but it won’t prepare you for this one. Expect the unexpected and download the track below. that was a great louis v crewneck. keep listing to that type of stuff"
Just earlier today we showed you first pieces of the new 10Deep Spring 2009 Collection. Here we take a look now at their lookbook of the season, as well as get a glimpse at the production of the lookbook, through a behind-the-scenes video. Have a look at this video, showing you some background scenes of the lookbook shoot, which once again united the 10Deep crew in New York. Today Supreme released their latest Vans collaboration in store and online. Matching the Vans, they present the Disruptive Camp Cap, which comes in all four colorways, just like the sneakers. 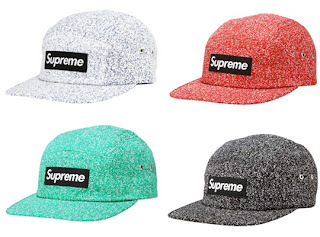 The caps are now available in the Supreme online store for 38 USD. Just released from Freshjive are four t-shirt graphics by renowned album cover designer, Mick Haggerty. Along with the shirts, Rick Klotz has posted a detailed 9 page article on the history of Mick and his work, and even his relation to the beginning of Freshjive. Some of you might never have heard of Mick Haggerty, but the album covers by the artist should definitely ring a bell. You can read the article on Mick Haggerty on the Freshjive Propagandist homepage in the media section. The Mich Haggerty For Freshjive t-shirts will soon be arriving at retailers. Stussy will be releasing the “Great Minds” Collection. The line consists of five t-shirts, each featuring a great mind such as Einstein, Thoreau, Shakespear, Freud and Marx. The collection will be released tomorrow, March 21rst at Stussy Chapter Stores and at Stussy Direct. Detailed images of all five t-shirts out of the Stussy “Great Minds” Collection follow after the jump. With the release of the Kanye West For Louis Vuitton footweaar collection coming closer we can give you a look today at the boat sneakers. Coming with a similar base silhouette as the Don sneaker out of the collection, the main difference is on the front, where the sneaker has a clear boat shoe silhouette and tassles. The sneaker seems to be coming in all white and in grey/pink, the same colorway that we have already seen on a high top sneaker out of the collection. 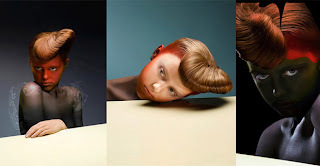 Images via BKRW. Just like the rest of the collection, these should be hitting stores some time in June. More detailed images of the Louis Vuitton x Kanye West “Boat” Sneakers follow after the jump. Once again three brands that are very familiar with each other got together - Stussy, Undefeated and realMad Hectic. 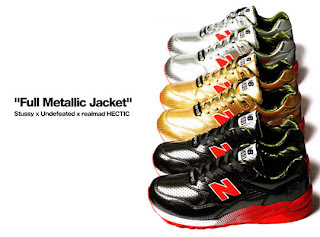 They once again joined forces with New Balance to work on the “Full Metallic Jacket” MT580 Pack. The pack consists of three sneakers, coming in black, gold and silver, each featuring a camouflage lining. The pack will be released along with a t-shirt and 400% and 100% Bearbricks by Medicom. Via Hypebeast. After the jump another look at the Stussy x UNDFTD x realMad Hectic New Balance MT580 Pack and also a look at the t-shirt. 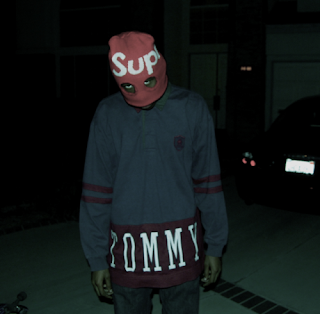 his louis v crewneck was great. my grandma loves this track. always puts me in a good mood. Kid Cudi is brilliant but he still dosent have the "rep" he should.. support him. Blu & Exile "Blue Collored Workers"
About Me: names ace i reside in inglewood california. im a hypebeast. gotinterested in bloggin through my homie jasoNB. view his blog by the way. 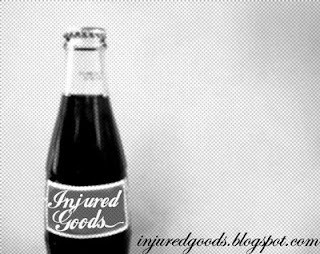 injuredgoods.blogspot.com. 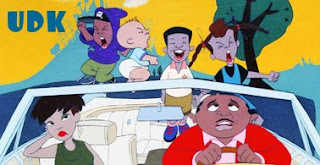 my blog will be keeping you updated on pretty much everything from clothes to new mixtape dropped so stay tunned daily. thanks for your support. my emails originallitykills@gmail.com for all questions and comments feel free to contact me.